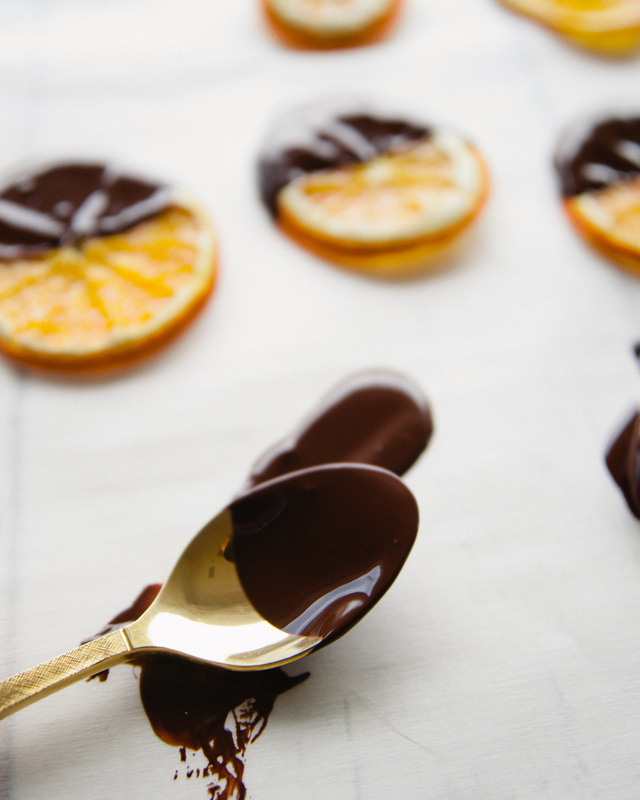 Orange chocolate candy often overcomplicates a naturally sweet treat that you can make yourself with very little effort. 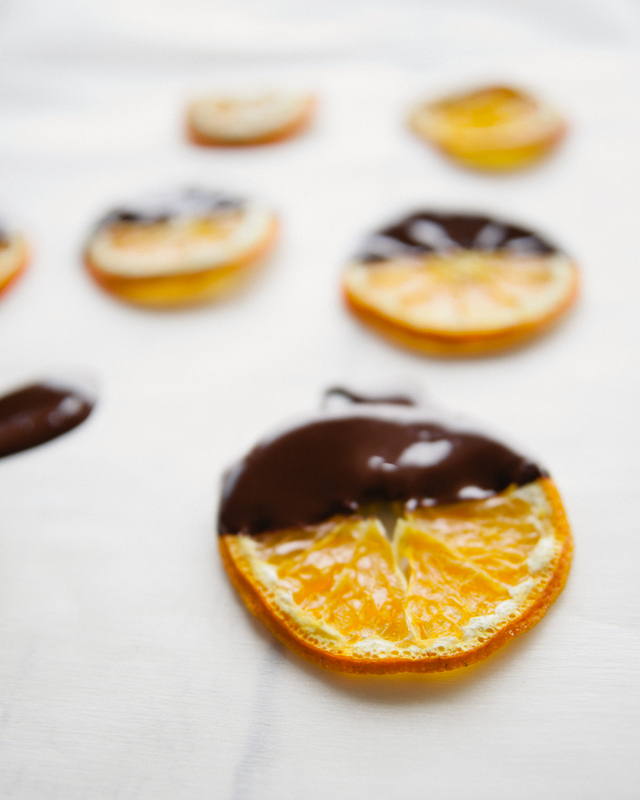 Instead of making candies with synthetic flavorings you can simply dehydrate real oranges, which friends find refreshingly neat for parties and gifts. If you do not have a dehydrator an oven set to low temp works just as well. Just make sure not to forget about them since they do take a bit! To dehydrate the orange slices without a dehydrator, pre heat oven to 225°F. Place orange slices directly onto a wire rack and leave to dry out in the oven for around 2-3 hours. Timing will depend on your oven and thickness of the slices. Break baking chocolate into one inch pieces and place in thick saucepan or double boiler. Over a very low heat, melt baking chocolate. Once melted, take off heat and add maple syrup and stir. 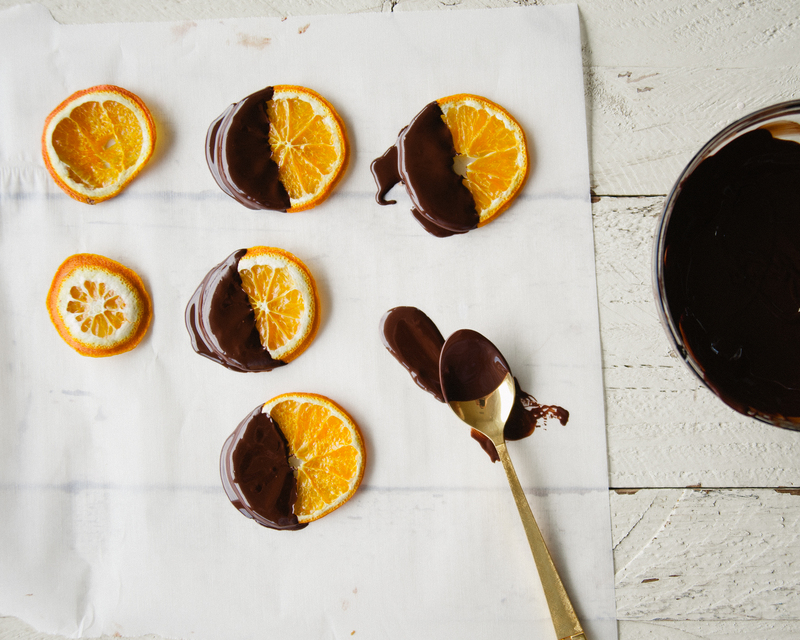 Dip the dried oranges halfway into the melted chocolate. Place on parchment paper to cool. 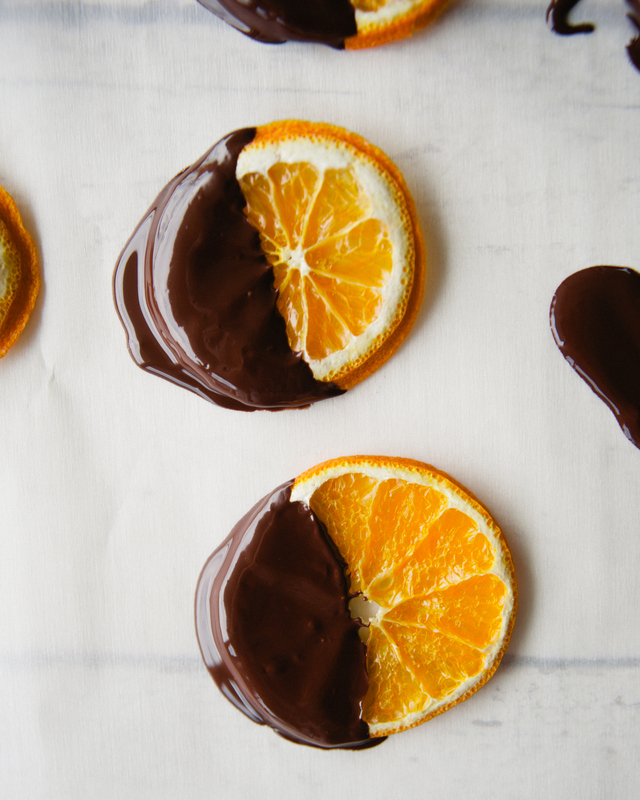 This entry was posted in dessert, Uncategorized and tagged chocolate, grainfree, holiday, orange, refined sugar free, vegan on November 27, 2015 by sweetlaurel. I believe in dipping everything in chocolate!!! So happy you enjoyed our recipe! I also went a little bit overboard and covered other things in chocolate! Thank you for this amazing idea!